AS PART of the HLF-funded Written in the Landscape project, liveArgyll Archives and the Argyll Papers at Inveraray Castle are delivering a local history workshop on Tuesday April 16 at 7.30pm, in Room 1 at Helensburgh Parish Church Halls. 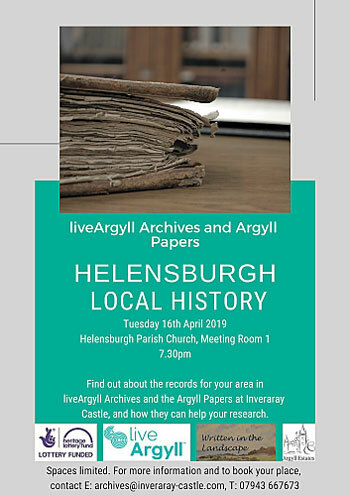 Archivists will introduce both collections and the types of records held in them, focussing on the documents which contain evidence about the history of Helensburgh and Dunbartonshire. There will be plenty of time for questions and for getting ‘hands on’ with the original records. HELENSBURGH’S historic Hill House will soon be open for business — despite the erection of a box over the building. The Charles Rennie Mackintosh mansion in Upper Colquhoun Street is undergoing phase one of a pioneering conservation programme. HELENSBURGH features twice in the latest edition of a show business magazine. 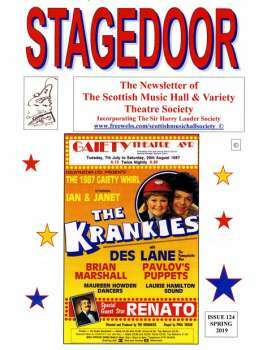 ‘Stagedoor’ is the newsletter of The Scottish Music Hall & Variety Theatre Society, which is in its 40th anniversary year and incorporates The Sir Harry Lauder Society. 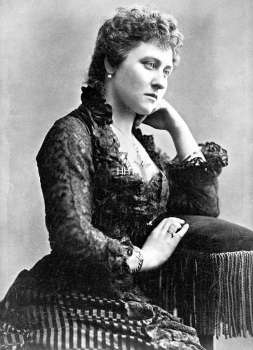 HER Royal Highness Princess Louise, daughter of Queen Victoria, had a huge impact on Helensburgh and Garelochside, where she lived in Rosneath Castle and loved the beauty and quietness of the Gareloch. The area provided a haven for her in her later years after a fascinating and busy earlier life inevitable for a daughter of Britain’s longest serving monarch from 1837-1901. HELENSBURGH has always prided itself that a Prime Minister came from the burgh, despite the fact that he is known as “The Unknown Prime Minister”. 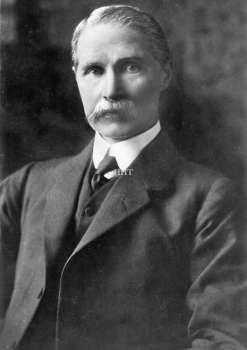 A Conservative, the Rt Hon Andrew Bonar Law MP occupied 10 Downing Street for just 209 days in 1922-23, succeeding the much better known Liberal, David Lloyd George, who had served from 1916-22. A HELENSBURGH man who served as a County Councillor for 23 years was a First World War hero who won the Victoria Cross, the top award for gallantry in the face of the enemy. 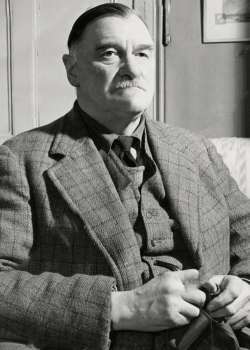 Colonel George de Cardonnel Elmsall Findlay was born on August 20 1889 in Cardross and died suddenly at his burgh home, Drumfork House, on June 26 1967 at the age of 77. THE Golden Hind on the Gareloch must have been an impressive sight — not Sir Francis Drake’s Golden Hind of 1580, or a replica, but a flying boat of the same name. This was in 1940, and it could fly with a wing span of 134 ft compared to the 19 ft width of the galleon. Three larger versions of the already large Empire flying boats were completed just before World War Two. The three G Class boats were named Golden Hind (pictured above at Rhu), Golden Fleece and Golden Horn, and the first, Golden Hind, was launched on June 17 1939. At the outbreak of war all three were quickly named by the Air Ministry as long range maritime military aircraft under the designation of S 26M. There was a shortage of new Sunderland flying boats at this time. Blackburn at Dumbarton had not yet started to build Sunderlands and deliver them to Helensburgh for flight testing. So Empire boats, similar in design to Sunderlands, were allotted for military service with the RAF and sent to RAF Helensburgh initially. Golden Hind was the first to be delivered to the Marine Aircraft Experimental Establishment at RAF Helensburgh for evaluation, and modifications took place, with most of the heavy work being carried out at Blackburn Aircraft in Dumbarton. MAEE at Felixstowe, before it moved to Helensburgh, had experience of both the Sunderland and Empire boats, and the first prototype Sunderland went from Felixstowe to Helensburgh as the MAEE’s long term trials aircraft. The Empire boats were built for transatlantic commercial use, and MAEE carried out successful air to sea refuelling trials with the flying boat Cabot — which also went to Helensburgh in 1940 for wartime modification. Golden Fleece and Golden Horn were delivered to Dumbarton in August 1940 and joined Golden Hind which was already at Helensburgh undergoing appraisal before the fitting of Air to Surface Vessel Radar. This was fitted to all three flying boats. Work carried out at Dumbarton included armour plating, bomb carriers on the wings and facilities for flare chutes, smoke and flame floats. Two Boulton Paul gun turrets were fitted dorsally, with a third turret in the tail which looked an afterthought until flared in. The three military G Boats lost their names and were given RAF serial numbers. Horn: X8273/G (Guard at all times), Fleece: X8274/G, Hind: X8275/G. For its Air Certificate Airworthiness trials at Helensburgh in May 1940 Golden Horn was photographed in camouflage with RAF roundels and two large Union Jacks on its sides. For this official photograph the background at Rhu was deleted so as not to identify the location of the top-secret flying boat base. Other trials conducted on the Empire boats by the MAEE involved fully loaded flights with 16 crew, full fuel and ballast loads. Golden Fleece also had all four engines changed on the beach at Rhu, a major task for the MAEE aircraft fitters working on the wings. 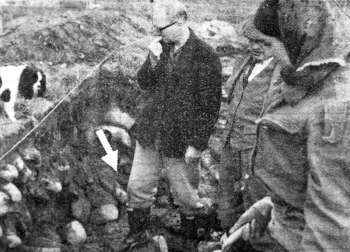 At the time there was no slipway at Rhu and the men worked high up from the ground. A fall would have almost certainly resulted in injury. Both 250 lb and 300 lb anti-submarine bombs were tested, together with ways to launch larger depth charges through the hatch of an Empire flying boat. The gun turrets were found to be cold, draughty and noisy, so improvements were made at RAF Helensburgh. 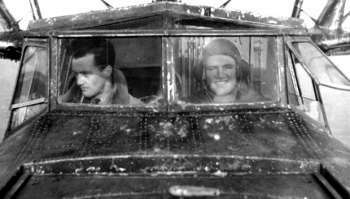 An F24 camera and Marconi radio were also installed. MAEE’s three completed flying boats were then formed into a special ops G Flight at Helensburgh, before being issued to 119 Squadron at Bowmore, Loch Indall, Islay, while it awaited delivery of Catalinas. Wartime duties for the G boats were varied, included flights carrying much needed supplies to Gibraltar and the Middle East. Golden Fleece was lost in December 1941 because of engine failure. Hind and Horn were returned to BOAC fitted for austerity seating for long distance flights, but Horn was lost in January 1943, again because of an engine failure. Golden Hind soldiered on until the end of the war and was ‘demobbed’ in 1947. There it remained, near to its birthplace at the Rochester factory, where it ran aground, and it ended up in a sorry state (above) until scrapped in 1954. The golden age of flying boats would soon be over. They had reached the height of their versatility during the Second World War. Post war there were more airfields around the world, handing the advantage and popularity of air travel to land-based aircraft. MAEE’s last flying boat involvement was the magnificent six-engined Saunders Roe Princess, which handled well despite its bulk. The efficient design both in and out of water benefitted from years of MAEE research. However only one Princess flew before the project was cancelled. Flying boat research by the MAEE ceased in 1953 and the establishment closed completely in March of that year. 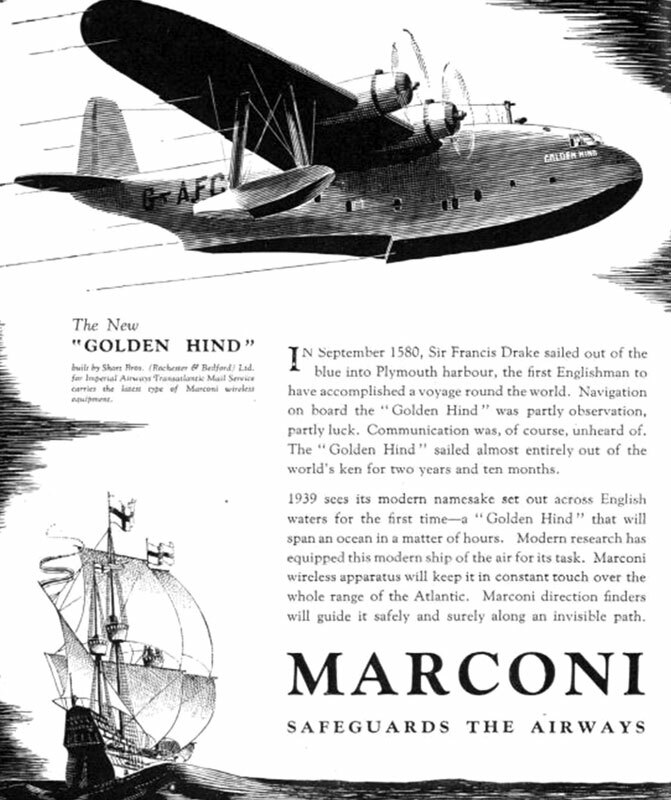 Flying boat research had started in 1918 with MAEE being named the Marine & Armament Establishment in 1920. It moved to Felixstowe in 1924 as the Marine Aircraft Experimental Establishment, then was transferred to Rhu in September 1939 where it remained throughout the war before returning to Felixstowe after the end of hostilities for its final years. THE GARELOCH was the starting point for one of the most important top-secret missions of World War Two. IT BEGAN as a mystery and ended as a mystery . . . but there were some fascinating discoveries in between. The starting point was the desire by a group of local people to have a memorial for those who lost their lives in the Battle of Glen Fruin on February 6 1603, and they wanted to confirm a long-held local belief that a burial mound in the glen was where dead Colquhoun clansmen were buried. 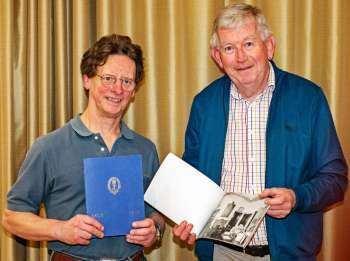 AN EXHIBITION of memorabilia and photographs from the Royal Northern and Clyde Yacht Club has opened in the community area at Helensburgh and Lomond Civic Centre in East Clyde Street. CANOEING on Loch Lomond provided a fascinating talk and great pictures at Helensburgh Heritage Trust’s February Open Meeting on Wednesday evening. The well attended meeting in Helensburgh and Lomond Civic Centre in East Clyde Street enjoyed a presentation given by Trust director Robert Ryan and his canoeing partner, Ritchie Forrester. 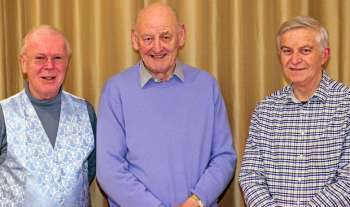 EARLY Clyde steamer dramas, a World War One officer who was married a week after he died, and the work of the Marine Aircraft Experimental Establishment at Rhu during World War Two all featured at Helensburgh Heritage Trust’s latest open meeting. WELCOME to the Helensburgh Heritage Trust website. We hope you find it simple to navigate, with over 1,150 articles, a Photo Gallery with 1,949 images in 22 albums, letters, downloads, and links to weblinks. Contributions are welcome, and should be emailed using Contact Us. Follow this link to see a list of, and links to, all the articles in the various categories. See the Heritage Trust heritage display cases at Helensburgh Library during opening hours: Monday 1-8pm; Tuesday 9.30am-5pm; Wednesday 9.30am-5pm; Thursday 1-8pm; Friday 1-5pm; Saturday 9.30am-5pm. Meetings, open to all, are held in Helensburgh and Lomond Civic Centre, East Clyde Street, at 7.30pm.